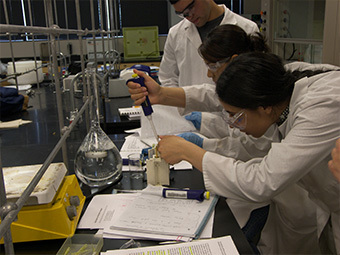 The Department of Chemistry offers a Master of Science degree, a Bachelor of Science degree, a Bachelor of Science degree with teaching certification, a minor in Chemistry, and a minor in Biochemistry. Welcome to the website of the Department of Chemistry at the University of Texas Rio Grande Valley (UTRGV). The Department of Chemistry has 22 tenured and tenure-track faculty members, 17 lecturers, and 6 support staff thoughtfully engaged in the chemical education of university, elementary, middle school, and high school students spanning the Rio Grande Valley. We are committed to providing quality education, serving the community, and preparing students for graduate work or careers in chemistry by offering programs that lead to bachelors (B.S. ), masters (M.S.) or minors in chemistry. Additionally, the Department of Chemistry prepares students for admission to schools of dentistry, pharmacy, and medicine. We also offer a program that leads to teacher certification through the UTeach program where you will work with dedicated Chemical Education faculty. We provide undergraduate, graduate, and high school students with research opportunities supervised by faculty mentors that are experts in areas such as organic, inorganic, environmental, physical, analytical, computational, polymeric, and materials chemistry. Our department receives generous funding to support research from the Howard Hughes Medical Institute, the Welch Foundation, and the Elliott Chemical Society. 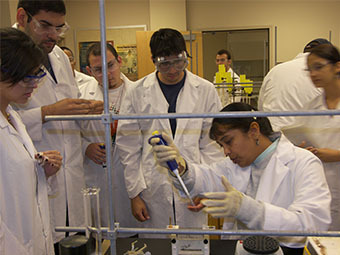 The Department of Chemistry is located in the Science (SCNE) building on the Edinburg campus and the Life and Health Sciences (LHSB) building on the Brownsville campus. Our department houses the modern chemical instrumentation required to conduct innovative research publishable in national and international peer-reviewed journals. We have dedicated laboratories for teaching, community engagement, and for students to conduct experiments for coursework or to explore focused research projects mentored by inventive faculty. 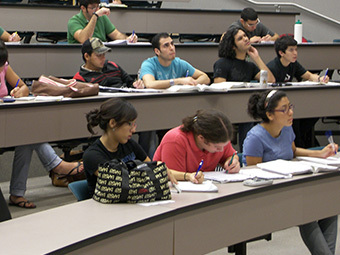 The University is located in multiple sites across the Rio Grande Valley, in the southern tip of Texas, with main campuses located in Edinburg and Brownsville.